Races to Places Dakar2017 supporter products in STORE now ! | reinforcement! 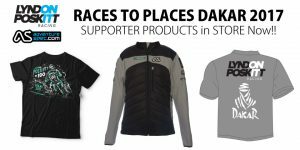 Races to Places Dakar2017 supporter products in STORE now !